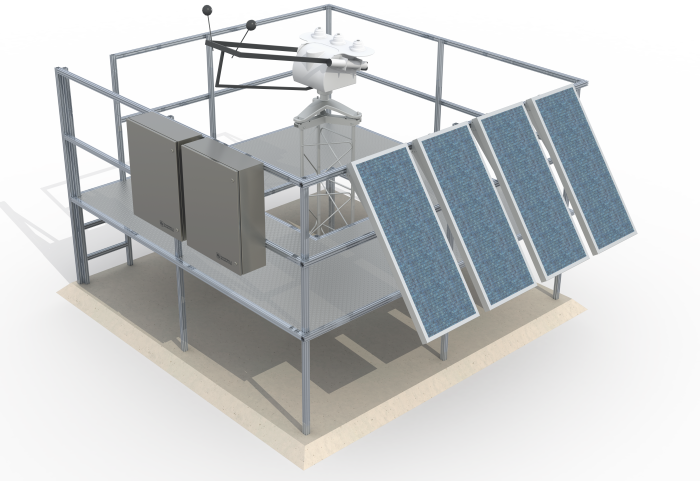 The CSP100 is a turn-key automated data-acquisition system specifically designed to meet CAISO meteorological station requirements of concentrated-solar-power generating facilities. It is recommended for assessing power-plant performance, which requires the best possible solar resource measurements. The CSP100 is field-ready, with features to minimize installation time and field wiring errors. Though offered as a turn-key package, nearly every aspect of the system is customizable, including sensors, communications, mounting, and power supply.